The first Russian minor to be fined under the law against so-called gay propaganda for posting pictures of shirtless men embracing has filed an appeal, his lawyer said on Monday. Maxim Neverov, 16, was fined 50,000 rubles ($760) this month, after a commission on juvenile affairs found him guilty of “promoting non-traditional sexual relationship among minors”. He was the first minor to be fined under the law, which makes any event or act, regarded by the authorities as an attempt to promote homosexuality to minors, illegal. It has previously been used to stop gay pride marches, and detain gay rights activists. “Yesterday we mailed our appeal (to the authorities). It should be considered and ruled on within two months,” Neverov’s lawyer, Artyom Lapov, told the Thomson Reuters Foundation by phone. Neverov has denied that the pictures posted on the social network VKontakte amounted to gay propaganda. “All people’s rights are being violated in Russia, not just LGBT people’s,” he said in an interview before the appeal was filed on Sunday. Russia was ranked Europe’s second least LGBT-friendly nation in 2016 by ILGA-Europe. Homosexuality was a criminal offence in Russia until 1993, and classed as a mental illness until 1999. 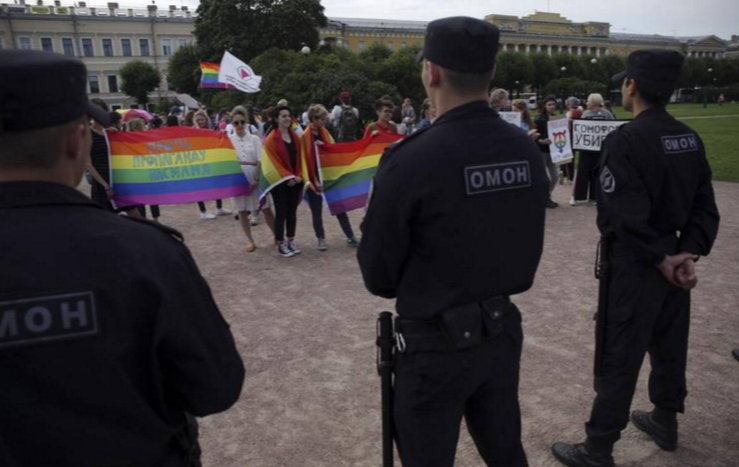 Last year, the European Court of Human Rights ruled that the Russian gay propaganda law breached European treaty rules, violated people’s right to freedom of expression, and discriminated against LGBT people – a ruling Moscow called unjust. Svetlana Zakharova, spokeswoman for the Russian LGBT Network, said Neverov’s prosecution was different because he was not an active campaigner for gay rights. “Usually (the authorities) prosecute people for marching in the streets with rainbow flags,” she said.